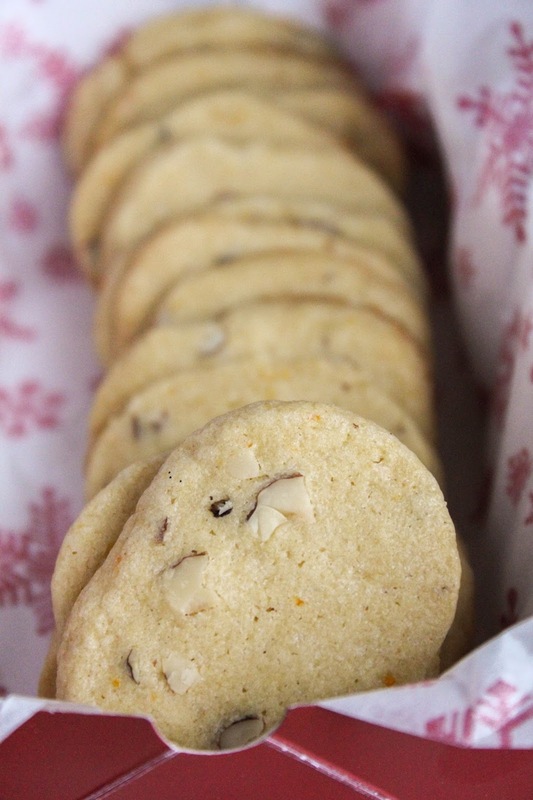 These deliciously crispy hazelnut cookies are hinted with orange and ginger and are definitely gift worthy! I'm super excited to be participating in the Great Food Blogger Cookie Swap again this year! This is the 5th annual swap, and my 3rd year to participate. It's seriously one of my favorite things about the holiday season! The swap partnered up with Cookies for Kids' Cancer, a national non-profit organization committed to funding new therapies used in the fight against pediatric cancer. I love being able to get in the kitchen and bake AND support this great cause! The swap is simple – I baked 3 dozen cookies to send to three of my fellow food bloggers (one dozen to each), and in return I received one dozen cookies from 3 other food bloggers! I got Peppermint Pinwheels from Michele of Alwayz Bakin', Peppermint Pretzel Toffee Bark from Erica of Nommable, and Double Chocolate Cookies from Jessica of Jessica is Baking. Every single one was amazing, and my family loved them all! 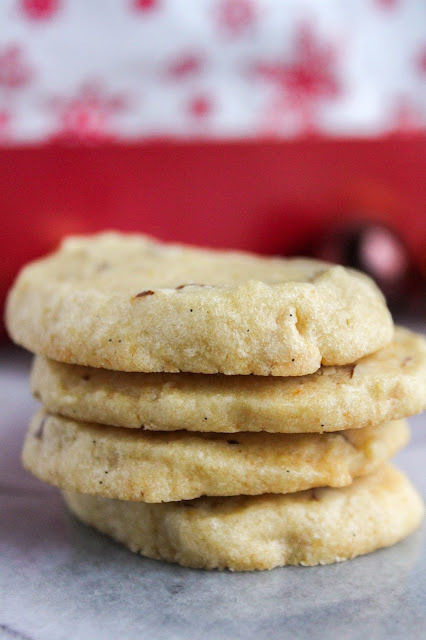 Today I'm sharing the recipe I created for the swap, and I must say these are mighty delicious cookies. I saved a dozen for my family but I'm pretty sure I ate half of them myself! They are crispy and nutty and have hints of orange and ginger throughout. They would make a perfect gift this holiday season or, you can just make a batch and keep them all to yourself! Are you ready to bake some cookies? In the bowl of a stand mixer, beat the butter and sugars until light and fluffy. Add the orange zest, orange juice, and egg and mix until well combined. In a medium bowl, whisk together the flour, baking powder, ginger, and salt. Add the dry ingredients to the mixer in small batches until combined. Fold in the hazelnuts. Divide the dough in half, and shape each half into a roll about 10 inches long. Sprinkle a tablespoon of sugar each on two sheets of plastic wrap and roll each log in sugar to coat. Wrap the logs in the plastic wrap and refrigerate until firm, about 2 hours. Preheat the oven to 375 degrees. Line a large baking sheet with parchment paper or a silicone liner. Cut the logs into slices about 1/2-inch thick. Place the slices on the prepared sheet, about 2 inches apart. Bake for 8 to 10 minutes or until the edges start to brown and the tops are lightly golden. 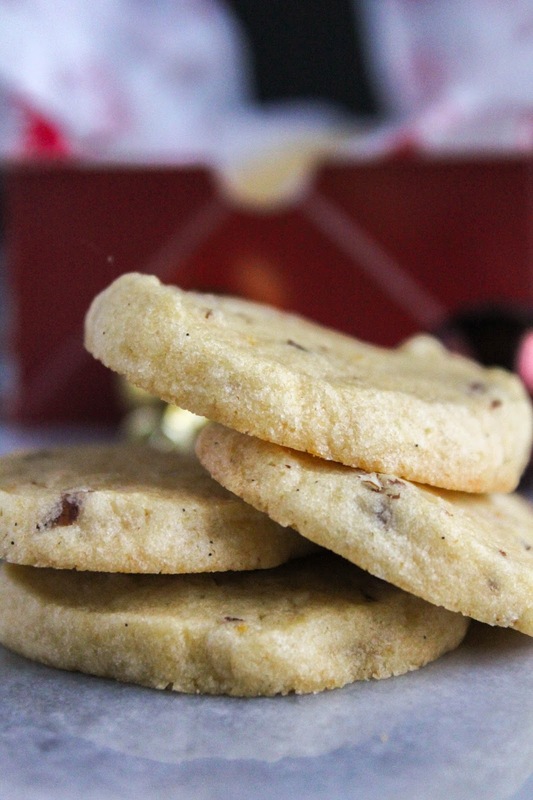 Remove the cookies from the sheets and place on cooling racks to cool completely. 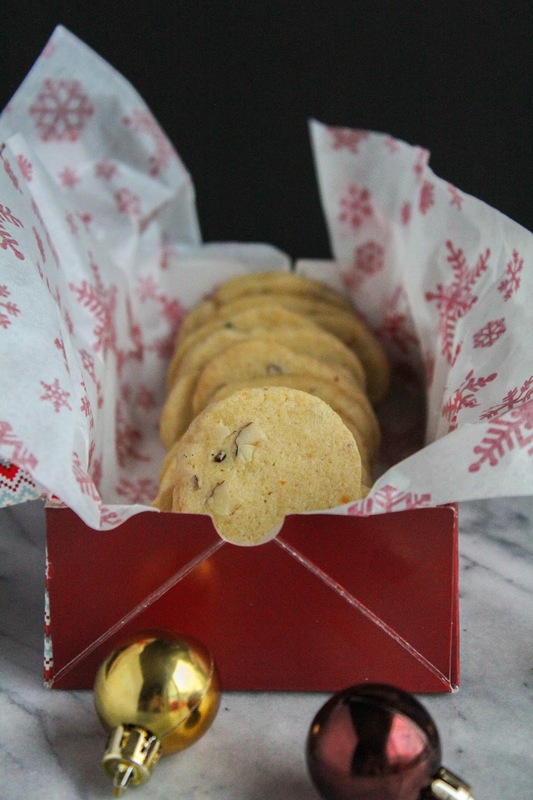 If you're a blogger and want to learn more about the Great Food Blogger Cookie Swap, check out the website or follow them on them on Facebook and Instagram!